Christians regularly exercise these dishonest sound-bytes; here, here and here, for example. If it’s true that only those with a direct line to God can be good and happy, then we shouldn’t see any of these categories. Christians should be supremely happy all, or at least most, of the time – St Paul says that believers are characterised by love, joy, peace, kindness and generosity (Galatians 5.22) – but they’re not. They should be moral and good all the time too – after all, Jesus commands them to be ‘perfect’ and tells them how to achieve it (Matthew 5.43-48) – but they’re not. According to Christians moral, happy atheists shouldn’t exist. And yet they do. 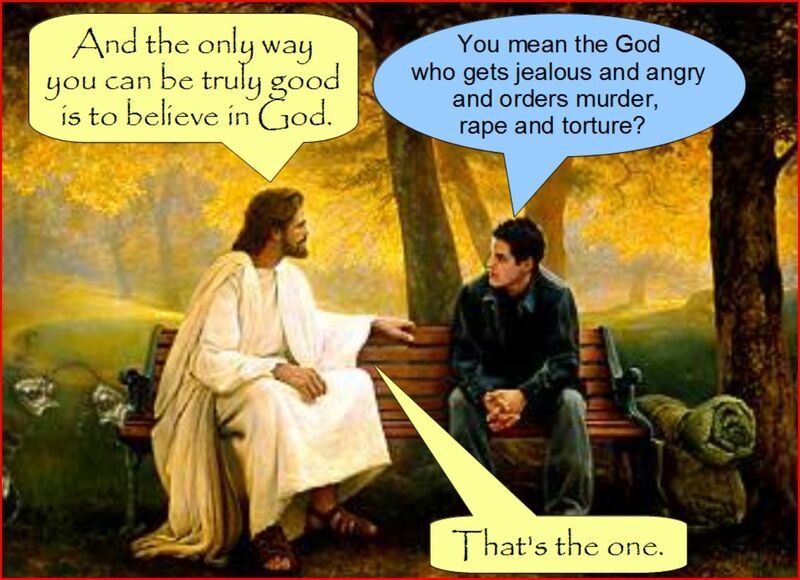 Christians, when they achieve it, are only good and only happy because they think God is watching over their shoulder. When atheists are good and happy it’s because they can be.